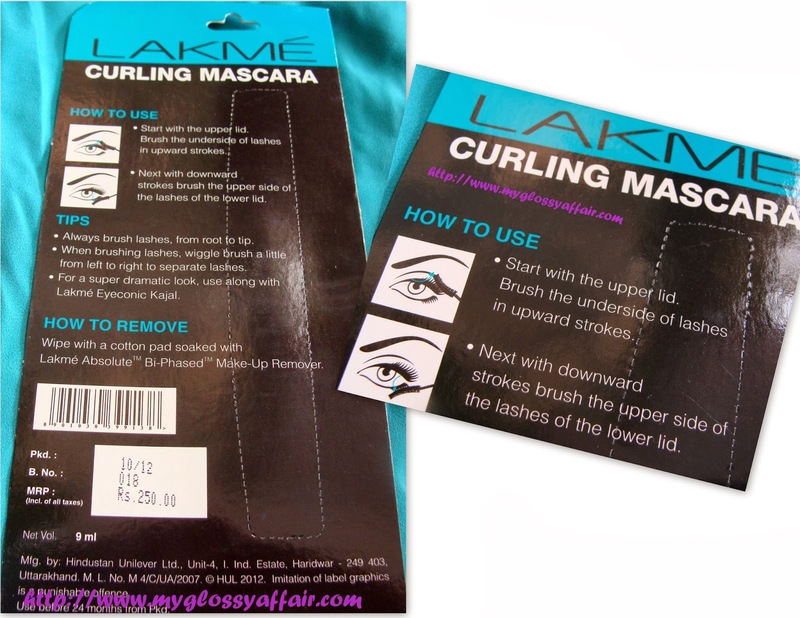 I was in search for a good mascara for a long long time and my search ended with this Lakme Eyeconic Curling Mascara. Though, this was not my first choice for a mascara but I wanted to get a Maybelline one. But then, sale season came and I got it at a very decent prize and I bought it. Now I got one and what I found about it – A Gem , pure love!! I have got superb results using this mascara. There are so many duplicates available in the market that you just have to get your hands on the original one and you are done !! Lakme was famous from the time I know of any cosmetic or makeup product but I considered it to be budget brand ever and never took it seriously and always aimed for getting something from higher ones. Then came Lakme with Eyeconic …..which really became an ICON and their Absolute range is also fabulous. I love 9 to 5 also very much. So, now, for me, Lakme is not another budget so-so brand but some of its products are so good that I would repurchase them ever. Like this mascara and their black Eyeconic liner, their 9 to 5 lippies, I love many J. This mascara comes in a sleek packaging, a very attractive one for a mascara, a curly sleek black tube. There is a looonnnngggg wand inside that also have a curly tip so as to ensure smooth application with a curling effect. It stands true for its curling claim. At least, I feel so. It is not waterproof, but I didn’t find it smudging or running at any occasion. Yes, it takes time in drying up completely but after that, you are free to laugh that much that you start shedding tears. It will take care of them J. It doesn’t lengthen or thicken but gives nice coverage with beautiful curl. It gives a prominent shape and great black colour to the lashes. It’s so easy to remove too, no rubbing or picking at your lashes, easily removed with any remover. The Lakmé Eyeconic Curling Mascara gives volume to your lashes every day. Its smart curl brush gives the perfect curve for well defined eyes. Light and easy to remove, its moisturizer keeps lashes smooth. Pair the Eyeconic Kajal with Eeyeconic Curling Mascara for excellent results. Rs. 250/- for 9ml. I got it at a nice discount at some online website J. See some pics below and decide for yourself J. Thanks for following back on G+ and bloglovin, but you didn't follow me back on GFC……could you try it again, please?